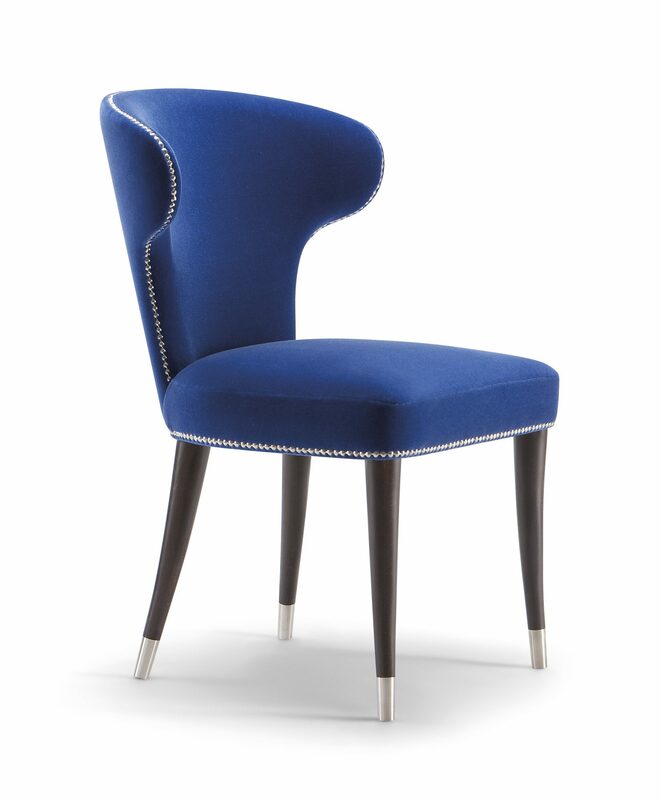 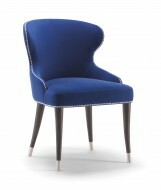 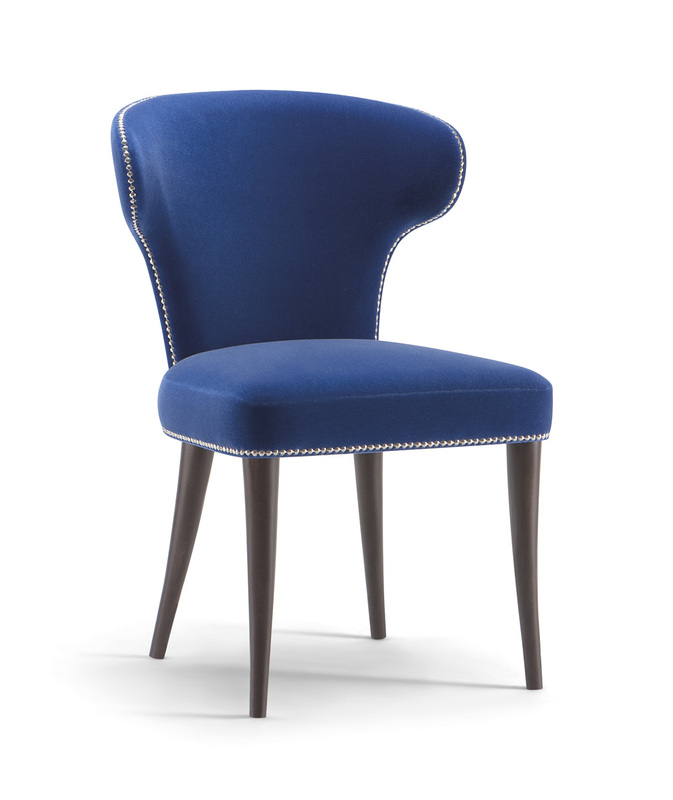 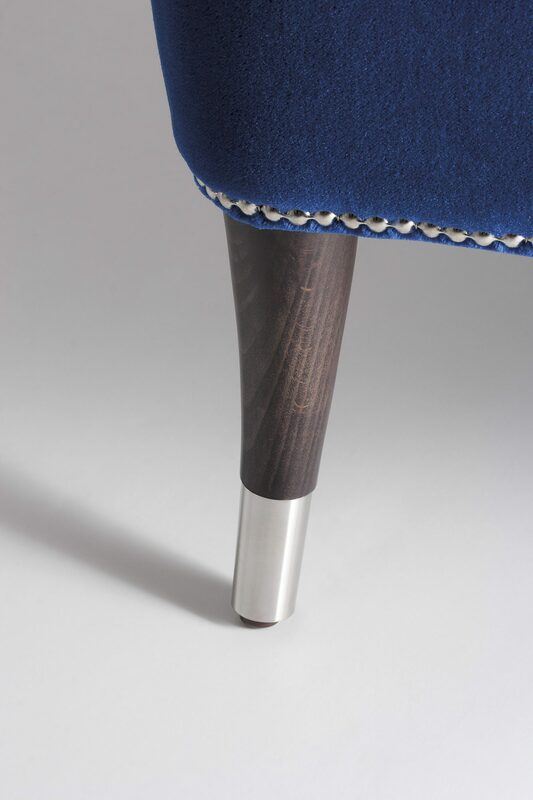 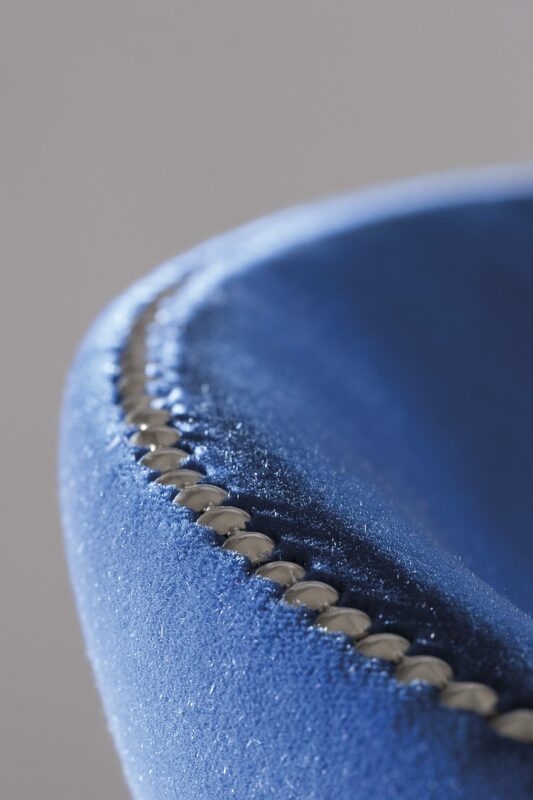 The Camelia Side chair is able to be upholstered in any fabric or leather. 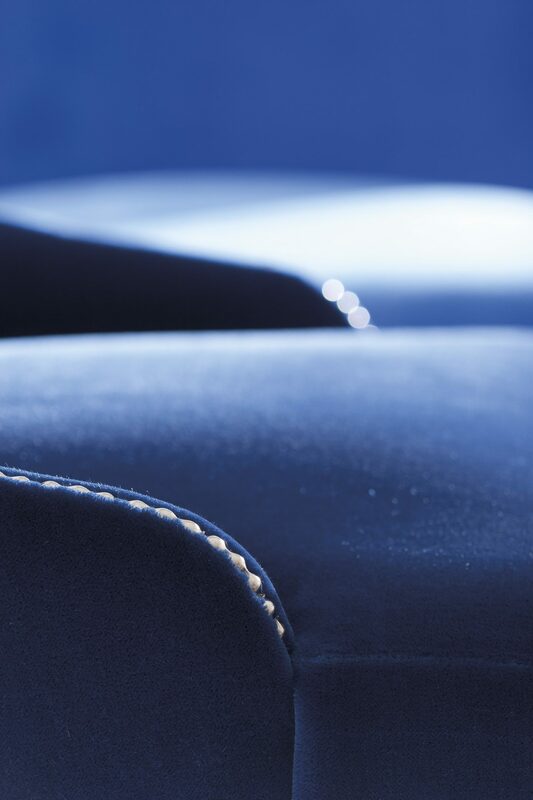 Optional to have the Chromed metal finishes to the feet at extra cost. 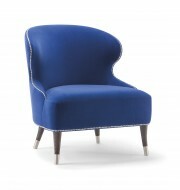 Family consists of; Armchair, High Stool, Lounge Chair, Sofa and High Back Lounge Chair.